When I started blogging almost six years ago I was still a teenager and didn’t really know where my life was headed, but I suddenly became fascinated and absorbed in the blogging community. I wrote mostly about my desire to own lots of lovely stuff and my many fashion inspirations. I then went onto document my second-hand finds and whimsical treasures. I shared a lot of personal troubles too and always felt comfort in knowing there was somebody listening. In March 2013 I was invited along to a blogging holiday in Derbyshire, I went onto meet some of the most influential people of my life. Something deep inside of me changed that weekend– and I truly believe that these individuals were the making of me. Girls I will always be thankful to. I then went onto discover a whole new me, – I got fit, lost weight and changed my entire life, all in the lead up to my May 2014 wedding. I’m not going to lie it was the most overwhelming experience of my life to date. And blogging simply was not possible with so much going on around me. Now. I have a heart full of emotions, a fresh perspective and a deep and burning desire to write. I sadly have to say goodbye to An Alien World. 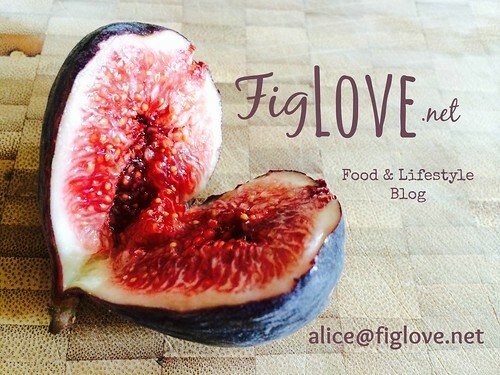 I warmly introduce you to Fig Love – ‘a brainchild, a lifestyle and ultimately a dream’. Old friends, we meet again. Very exciting to see a new blog and an overhaul. I need to get myself back on track with blogging too. But for now, I'll settle for reading blogs!